PENDLETON, Oregon – The Oregon Legislature opens its session tomorrow in Salem. Senate President Peter Courtney has said he’s sponsoring legislation that would lower the blood alcohol content from 0.08 to 0.05. Both Sen. Bill Hansell (R-Athena) and Rep. Greg Hansell have said that, while they haven’t seen the bill, they are inclined to support the proposal. Pendleton Police Chief Stuart Roberts says if Courtney thinks the change would make the highways safer, he’s wrong. Roberts said for an officer to pull a driver over, that driver must first have exhibited signs he or she could be driving under the influence. 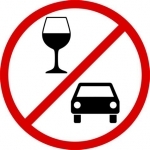 Bar and restaurant owners have come out in opposition to Courtney’s proposal, stating that in the serious crashes involving alcohol, drivers’ BAC limits were well above what the legal limit is.